I love any type of Mexican food whether it’s homemade by my aunt in Mexico, fast food Mexican or the Mexican restaurants that spread across the states. I also like a lot of spice and so from the start of my children’s lives I have always spiced their food up so they would grow used to the heat and flavor of the foods I cook. 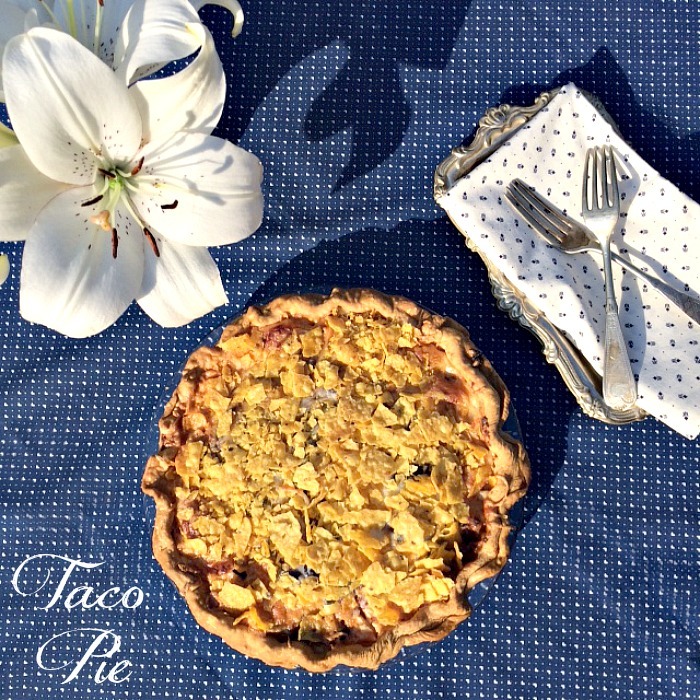 This taco beef pie recipe is one I love because the kids think they are getting a treat for dinner when I say, “Do you want Taco Pie for dinner?” I also love this recipe because you can slightly alter it to your liking or use the taco filling for other meals too. I usually double this recipe to make one pie with half of it and save the other half of filling to use on either a baked potatoes, on steamed rice, or in a tortilla wrap for another night. I also use pepper jack cheese for more heat in mine but you can use cheddar or mozzarella cheese if you prefer. Either way, it will still taste as delicious. Spread 1 cup cooked taco meat in the pie shell. If you like guacamole, why not try a dollop of it on top when serving. 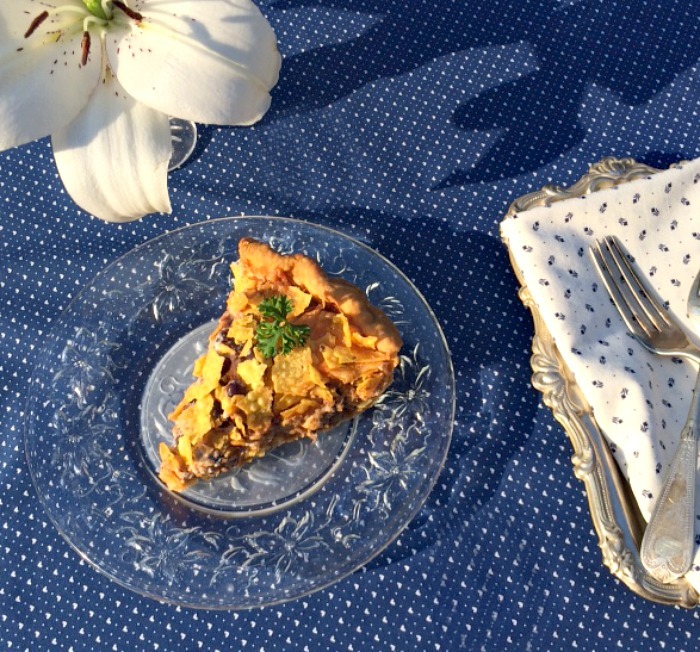 I usually serve my taco beef pie with green beans or a garden salad. This is a recipe the whole family will love. Try it out, and let me know what you think! Take a photo and tag me on IG or Twitter and I will be sure to share it. Yes try this honestly I am no chef and it’s super easy. The kids loved it too!!! Win win! I get you would he surprised what you can do!! Do and let me know what you think. Take a photo and I will share it too! I love how easy it is to make. 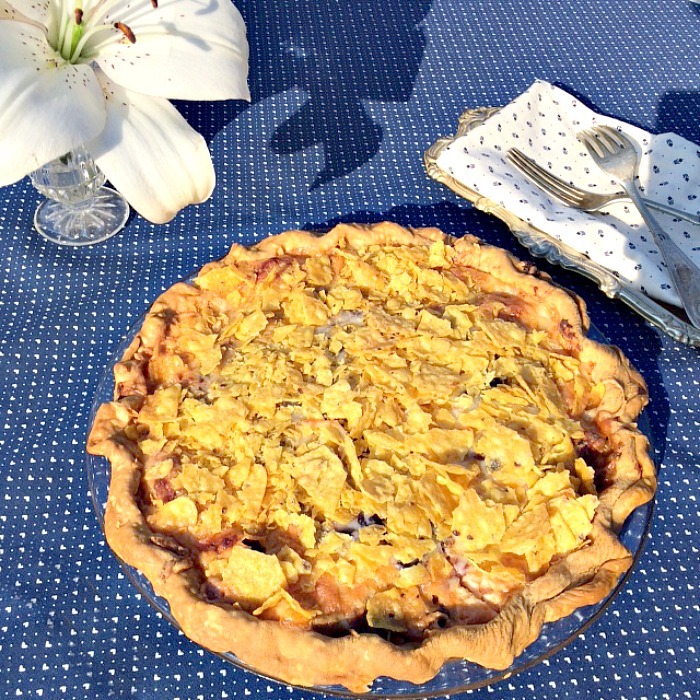 Whip a batch up and use premade pie shells and you have yourself a great Mexican dish. So yummy. The kids love it too. I know sorry. I am constantly sharing my Mexican dishes. But I just love it so much. Hahaha I will try to share more of my baking and goodies for a bit. Promise. Lol thanks for commenting and stopping by Hun. Oh, I’m definitely trying this one, we all love tacos, but this is a great way to use the ingredients in a different way. Yum! Yes definitely a great variation and you can do fish or chicken in it too! We love cajun chicken ones as much as the beef! 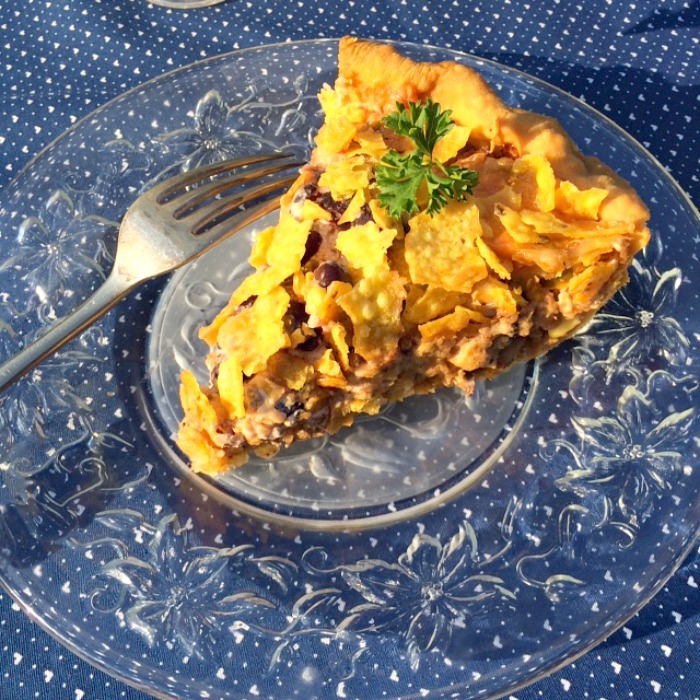 Or just add another bean and it can be a vegetarian taco pie! So easy and great for the whole family. It is absolutely amazing. You have to try it. So easy to make too as I am no chef. 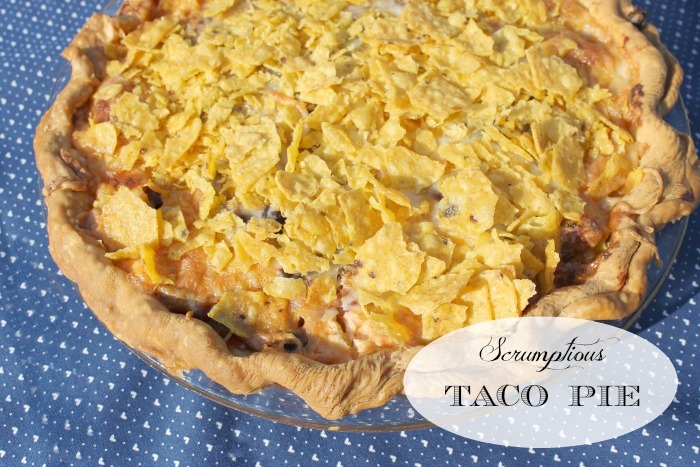 I love Mexican food, but i’ve never tried Taco Pie! It sounds yummy. Definitely one to try…..
Oh do try. It’s so delicious.